Continuing with my promise of more Robert Redford on this website, and any outlet benefits significantly from having more Redford, I wanted to review one of his greatest movies of all-time. At least according to the broad consensus found through my limited research. And given the times we live in, where our government villainizes media, what better Redford film to tackle than All the President’s Men. Let's talk about it. The story starts with the events that took place at the Watergate complex on June 17, 1972. Five men were caught planting electronic bugging equipment at the offices of the Democratic National Committee headquarters. These events lead Carl Bernstein (Hoffman) and Bob Woodward (Redford), reporters for the Washington Post down a rabbit hole full of conspiracies and cover-ups that trace all the way to the top, President Nixon. Goldman wrote a screenplay that presents the problem faced by the reporters in a way that an outsider can understand the gravity of the implications behind each piece of information gained through the investigation. The mystery starts as this tangled mess of misinformation and denials, and by the time it is untangled the audience is just as tired and relieved as the reporters. 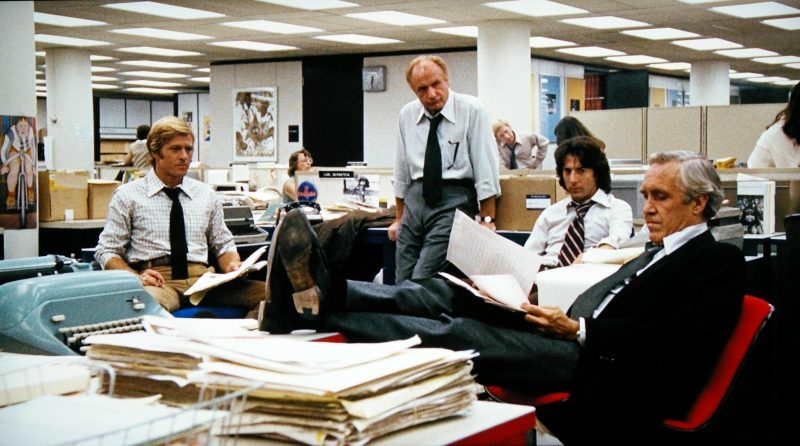 All the President’s Men is the type of film that pushes a story that needs to be seen. We currently live in a time where we have an endless number of sources and news outlets - yet the trust is at an all-time low. While one can argue that the reason is of their own making due to the many times they have misrepresented a story or ran with a source that is not trustworthy; the main reason is the president of the United States of America calling them "fake news." Surprisingly this is not the first president to want to delegitimize the media. President Nixon furiously fought against the news stories posted on the Washington Post regarding the countless conspiracy theories surrounding his and his core group of confidants’ involvements in the events that took place in Watergate. Only for time, and his recordings to show that the Washington Post was in the right from the get-go. The story flows in a way that plays more like a mystery thriller than a true story about a journalist. The twists and turns of the investigation grab the audience's intrigued as each piece of the puzzle that Hoffman and Redford gain not only clears up the picture, it further expands the scope of it. The way the reporters gain the crumbs of information from the tight lip sources was masterful, my favorite being how they would work around people not wanting to say out loud yes or no to the information being reported; "If you don't hang-up by the time I count to ten, I will take it that the information is accurate." I knew the outcome and yet I found myself frustrated by the roadblocks they faced and hoped they would come out on top. Director Pakula does a fantastic job behind the camera, utilizing different angles and compelling ways to show, well men reading and typing. My favorite being the one in the library as they are searching through the documents as the camera slowly descends above their heads. The higher it goes, the more the layout of the library looks like a maze and the reporters far from the center or goal of it. I loved the use of the television and the typewriter as a mechanism for exposition for the information needed for context. The final scene of the typewriter laying out all the crimes and convictions gotten in the end is deeply satisfying. The acting is fantastic all around, as you would come to expect from Robert Redford and Dustin Hoffman. 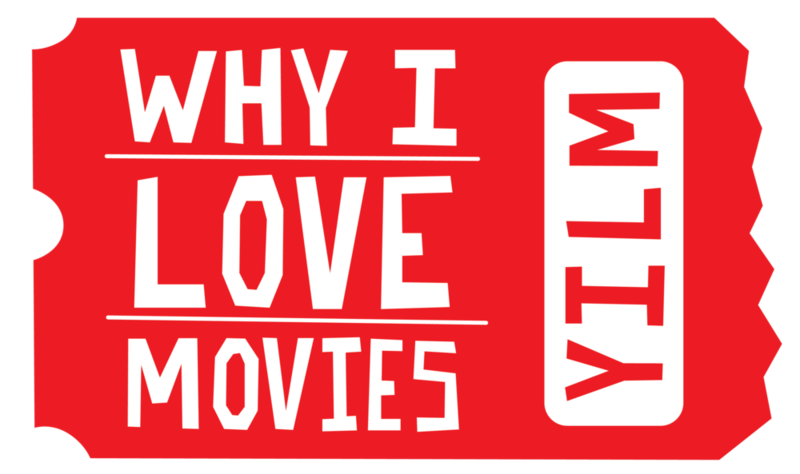 They aren't big, bold, attention-grabbing performances as they are more rooted in subtlety and realism of the characters they are portraying. Redford strong-willed and determined, yet always conscious that he is dealing with the lives and reputations of many human beings. Hoffman on the other side, while he has a smile on his face and trying to be the most charming man in the room, will stop at nothing to get every single piece of information from his sources, with no regard for consequences. Their sense of justice and responsibility binds them towards their reading the audience and the American people. All the President’s Men is a film that you really cannot put your finger as to why you love it so much. It is quietly genius, while not having any overtly attention-grabbing element, every component works cohesively in delivering a gripping story that sadly is still relevant on 2019. Redford and Hoffman make for an acting duo for the ages, and one that I would have loved to see more of up on the screen. I cannot recommend this film enough. All the President's Men is Why I Love Movies.